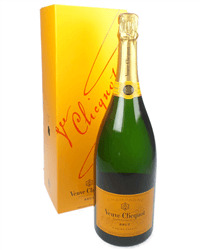 Not many Champagnes are as popular as Veuve Clicquot so this would make an excellent gift. 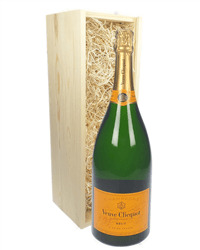 Whether you prefer Brut, Rose or Vintage, our Magnum of Veuve Clicquot Champagne gift is perfect for every celebration. Order online or by phone and we will deliver your chosen magnum, beautifully packaged with your personal gift message.